What’s the Return on Investment From Mining? 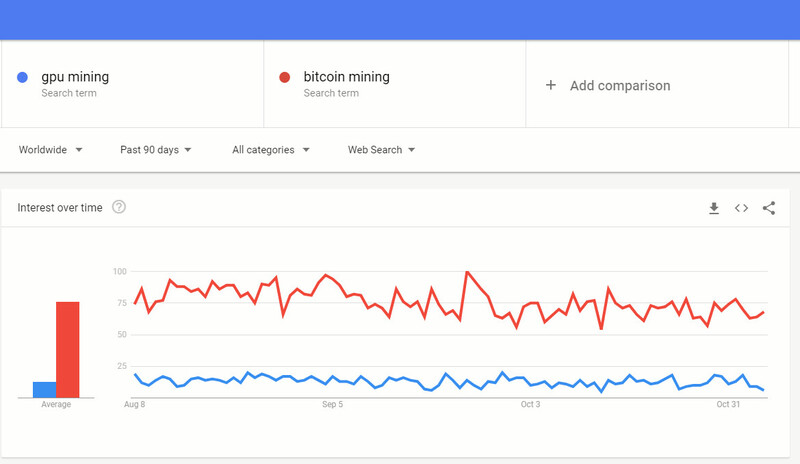 Nowadays a lot of articles talk about the end of crypto mining. But statistics on Google Trends shows that people are still interested in this sphere. Of course, the ROI isn’t as big as it was, but you can still make a really neat profit. So, how can you calculate the ROI? You should count the cost of your mining equipment and today's day-time revenue or income with the deduction of electricity costs plus maintenance fee. So if your mining equipment consumes 10kW per hour, you should multiply 10 by 24 hours and by $0.15 (Your electricity price) in order to find out the costs of electricity per day (income minus (electricity costs plus maintenance fee) = revenue). Then you can multiply revenue by 365 days to see if it pays off in a year’s time or not. And if it does pay off in a year, then the investment is good, because in that time you start earning money and your equipment works only to generate your profit. So just the consumption is more than income for the whole year - if your electricity price is $0.29 like it is in Germany - mining is not profitable for this device. Depending on the season, data center consumption may vary. For example, during an unforeseen summer heat wave, you will have to turn on air conditioners that consume a lot of electricity. So the complexity of the formula is increasing dramatically if you take into account all such situations. For example, only cooling expenses can be another 60% from total consumption i.e. So, if you mined a year, paid off the entire investments, and sold the equipment at its self-cost, it will mark a revenue for the year. If you had invested $100,000 in self-costs, you will never return all that rental costs, maintenance, the money you spent on electricity. But if your equipment costs $20,000 after a year of its use, and you sell it for $20,000, it is beneficial. You did not seem to earn an income from mining, but you sold the equipment in the end, and therefore paid back your entire investments. That is, mining cannot fully repay the invested money. You could earn $90,000 per year, sell equipment for $20,000 while spending $100,000, so you’ll earn $10,000. We in Comino have attempted to resolve all the issues plaguing the everyday miners. What is a Comino Grando and why exactly is it the way it is? Why do we believe that this product can be more efficient and generate revenue for longer than other products that work on the same principle? It's a board with chips, or video cards, or an FPGA/ASIC board combined with a water block. The water block is a system that takes the heat from the video card or board. So, during a single year of mining its value does drop, because there is a possibility, that a new era of GPU, FPGA or ASICs may appear. As for Comino Grando, only this part greatly amortizes, in contrast to the miners from other companies that are not made according to such a module system and therefore they usually fall in price. This happens because everything is manufactured based on a cheap system and cannot be replaced or used with the next generation of boards. In Grando, you can take the water block and put it inside your equipment, or purchase module for other board after several years of uses. 2. Grando U-block is a 4-unit standard case in a rack, where the water blocks can be placed. After a year of operating, nothing will happen to this unit; its power supply units won’t burn; the hardware itself will not corrode; the motherboard will work just as it’s supposed to. A fully working server will remain, nothing will happen to it within that time period. Besides, it won’t fall in price, in contrast to the module above. So, you can purchase Grando U-blocks together with a water block, and put them somewhere alongside your own equipment. As an alternative, you can purchase another product, where you can place the blocks even by yourself. This product is the Grando Rack. 3. What it a Grando Rack? It’s a usual server rack which is very popular. 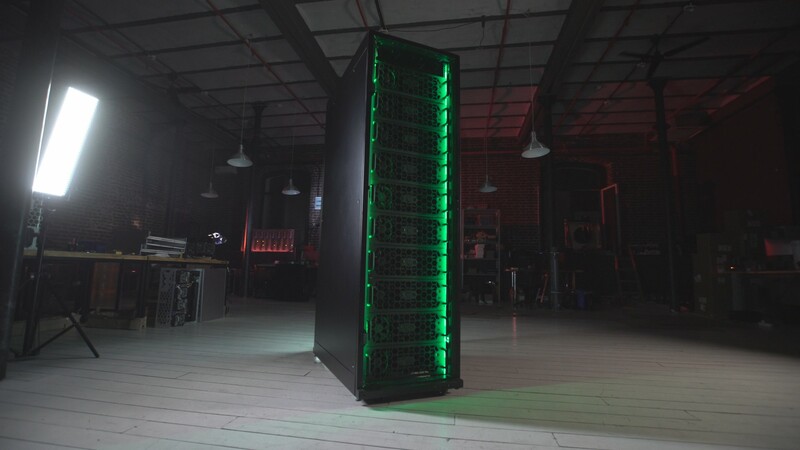 One can purchase such a rack to put inside the office or a data center, where they place servers. Grando rack is standard-sized, it has 42 units inside. It is a liquid cooled set up, which once again means longevity and extended lifetime. It can be resold, or other servers can be put inside: ordinary servers or water cooled servers. 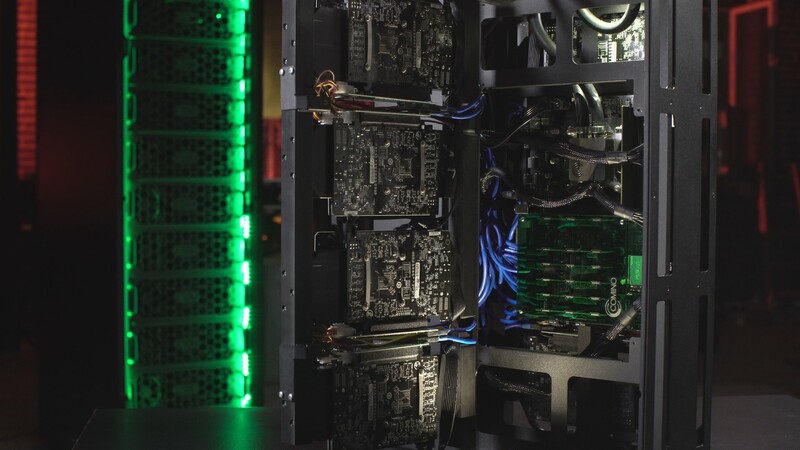 But what sets the Grando Rack apart from other racks that use air cooling is that everything that’s needed in order to connect the water-cooled servers is already inside. And of course, it can be used not only for Grando modules. 4. The next product of the Grando range is the Grando Container. This setup provides an opportunity to buy not just the data center but the building for it as well, where everything will be located in one place. It can be said that this is the most adaptable product, which can be deployed anywhere and at any time and that in 50 years' time nothing will go wrong with it. Grando container is a fully prepared mini data-center built inside a 40-foot container, which is fully prepared: it’s freeze resistant; has a fire warning system; conducted fittings; full electrical preparation and wires. All this will operate for a very long time like a sophisticated data center. And you can use this Grando Container for any water-cooled servers, appropriate for the characteristics. That's what the Grando solution is. Buying such a complete solution, miners can build infrastructure that will last a lifetime. At any given moment the functionality can be switched from mining to other tasks. You can upgrade your Grando server platform, add more memory, change SSD or HDD drives and processors and use it as a common server for completely different tasks. To sum it all up, when purchasing a complete solution, only a small part will depreciate over the first year but the rest will remain liquid and in demand. Moreover, nothing will happen to the GPU cards either, since they work at a comfortable temperature and of course, can be sold as well. Comino Grando allows to quickly and efficiently change the configuration, while the rest of the equipment remains functional. This turns not into OPEX but CAPEX, unlike cheap miners which easily break within a year of mining and stop working what so ever. Most importantly the goal is to reduce OPEX as much as possible. With the aid of Comino Grando, we are reducing OPEX as you don't have to pay for the rent, because you will have a Grando Container; you can pay less for the maintenance thanks to the liquid cooling technology; in a heat wave, our system consumes less energy, because it works with PUE 1.05. That is, 5% on top that you would have to pay for electricity to cool your equipment, while with air cooling (additional 60% or more like discussed earlier). Therefore with the Grando, you can have a PUE of 2.8. Such a solution as Grando solves one task - to reduce OPEX for business. Such as OPEX is a direct loss but CAPEX is your investment, your asset. So, if you want to earn money on IT equipment efficiently and for a long-term period, incurring minimal operational cost spending, Comino Grando is one solid solution to do just that. 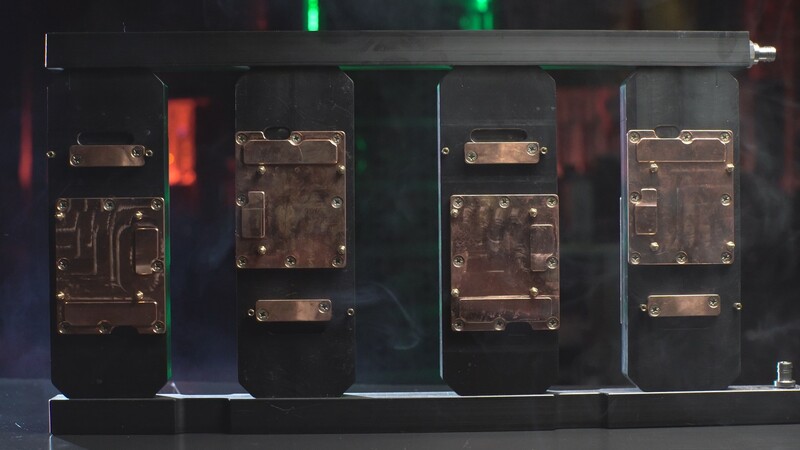 Companies such as Bitfury are also looking into this area for example with their products like the Bitfury Tardis and Blockbox AC.